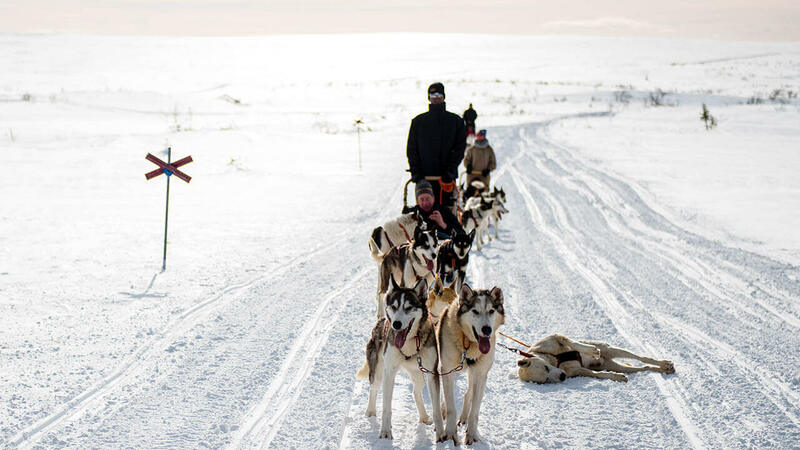 Dogsledding is an immensely popular activity in the Sälen Ski resort. We have been running dogs in the area since 1987 and it is still our greatest passion. 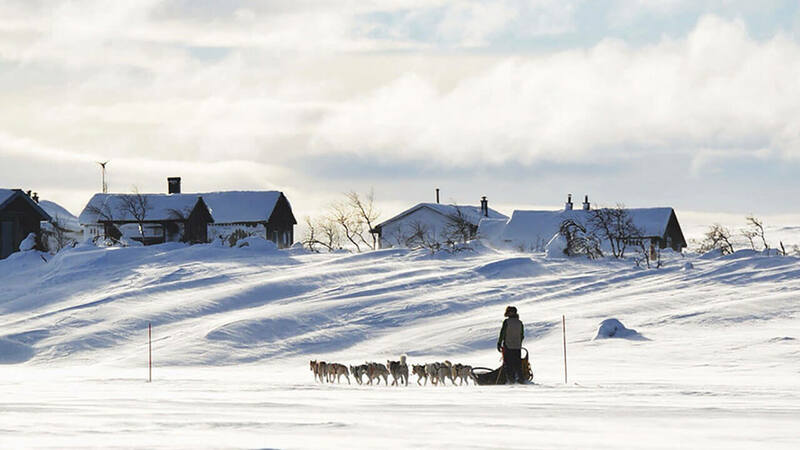 It combines interaction with fantastic working dogs with a historical way of travelling silently across the snowclad highlands to areas where even snowmobiles are restricted. The eager, happy, furry, noisy dogs are strong and determined while running, and social and curious when they rest. Their cries of joy and excitement just before the tour starts will immediately turn into a focused silence once the anchor line is pulled and the sleds are mobile. Only the sound of panting and the dogs paws running in the cold snow breaks the silence. We have a lot of different available tours, if you also wish to customize your own group expedition, feel free to contact us at info@fjallaventyr.com. 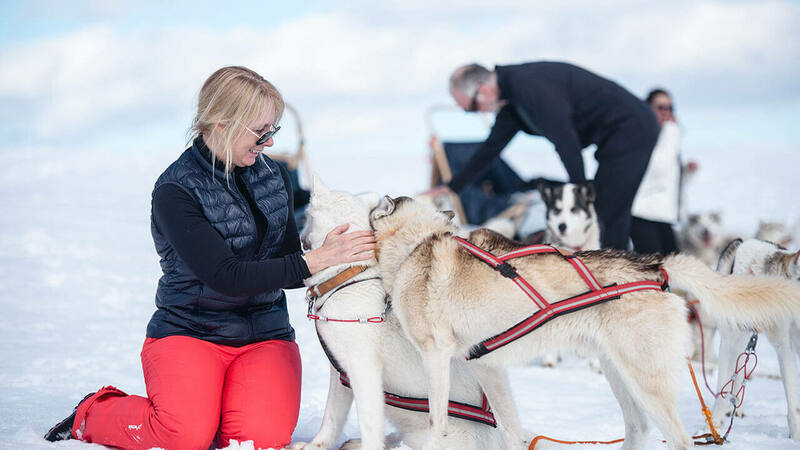 Try out dog sledding our join our most popular tour in Sälen, where you get to drive your own team of dogs. 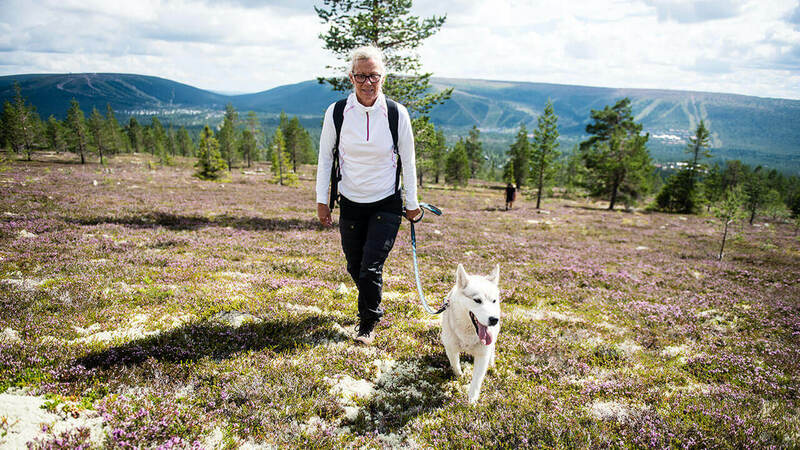 Rent one of our family friendly dogs for one of your hiking trips. Book your tour by first choosing number of dogsleds. Each team can pull maximum 2 adults and 2 children (about 240 kg maximum weight of passengers). Then choose number of adults and children between 2-12 that is included in your party. Infants younger than 2 years, ride for free. Remember to protect them against the weather with an extra blanket. We don’t combine parties but reserve the right to alter each team so that they run evenly. Cancelation insurance is optional but if you choose to ad it, please choose according to how many sleds you have booked, 1 sled=1 cancelation insurance.